What Do You Need to Know When Driving in Germany? Before you begin working your way to foreign language fluency, it helps to understand the culture behind the language you’re learning. After all, language exists to help a group of people express their ideas and beliefs. Germany is an old country with a rich history and culture. As you begin your German language program, gaining a strong grasp on this history, the values, and the etiquette will help you rapidly achieve success. 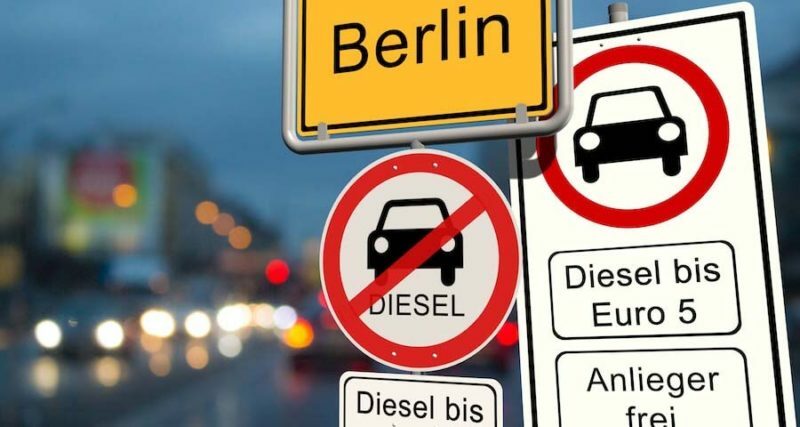 In particular, driving in German can make getting around very easy; however, it is very important to understand traffic laws and abide by them to keep from getting into any trouble with the law. If you come from the United Kingdom, the United States, or Canada, you can be eligible to drive in Germany for up to one year with your current license or an international driver’s license. Nevertheless, you should note that a license in any language other than German has to be accompanied by its German translation for easy checking by relevant authorities such as the police. The translations can be obtained from the local Allgemeiner Deutscher Automobil-Club, which represents the equivalent of the AA in the UK and the AAA in the US. Six months after this, you will be required to obtain a German driving license. It is, therefore, important that you look into this early before the time runs out. For European Union (EU) members, the process is simpler as their licenses can easily be swapped for German ones. Some American states also have similar arrangements with Germany to facilitate the same ease of obtaining a license. If your state is not among those with a streamlined process, you have to enroll in a German driving school and take the mandatory first aid course. To obtain a license, you require an application form, two passport-size photos, your current driver’s permit, the German translation of the permit, a residence permit, your driving school certificate, the first aid certificate, and the results of your vision test. For Americans, moving around on foot in Germany tends to be much easier than it is for the British. Just like Germans, Americans are used to waiting at crossings. Germans typically do not jaywalk even when the crossing point is clear of any traffic. They usually wait for the pedestrian lights to change to green before they decide to cross. If you are used to jaywalking and walking through the wrong light, other pedestrians are bound to reprimand you for doing so. If a police officer is around the area, you will have to pay a fine for jaywalking as it is a traffic offense in Germany. German pedestrian crossing points are meant to guide traffic rather than primarily giving pedestrians the right of way. It is, therefore, important to look out before using these points if you come from a country where pedestrians are used to enforcing their rights to cross at designated points. Concisely, you should always check around you to ensure the road is clear, even when the green man is lit. You should also note that despite the need to check for oncoming vehicles regularly, crossing away from designated points also attracts fines. Fines for such offenses start at five euros. German Traffic Police are always on alert to ensure all traffic laws are followed to the letter. One of the strategies employed to achieve this is by imposing heavy fines on all types of offenses related to traffic, extending from parking fines to road accidents. If you park on a cycle track, for instance, you may come back to find that your car has been towed. You will need to pay a specified fine for you to retrieve your car. The law requires that you have all your travel documents with you and have a hazard warning triangle in the car at all times in case of emergencies. In Germany, drivers are also required to have passed basic first aid courses and have a first aid kit in their cars. In case of an accident, no matter how small, you are required to capture the other car(s) details, including the insurance company registered with them to help in consulting with the police. It is normal to see drivers willingly exchanging these details. If you are caught speeding, the officer involved can collect the required fine on the spot, or your fine can be mailed to you. In the mail, you will find details on how to deposit your fine in the bank. Cameras also assist in capturing speeding offenders. German authorities are stringent when it comes drinking and driving. Alcohol restrictions are quite tight and are thoroughly followed. Therefore, you should brace yourself for random breathalyzer tests at all times in any place. The country has a computerized point system used to provide harsh punishments on people driving under the influence of alcohol. By law, there is usually a crackdown on drivers with previous driving under the influence encounters. Anyone eligible for driving in Germany has to be subjected to a blood test. The blood alcohol limit is set at 0.5 milligrams of alcohol per milliliter of blood. This translates to just two small beers for an average-sized man. Therefore, you should be careful not to be caught up drinking just before going out to drive. Germany is a beer rich country, and Germans love to drink, but you should never dare drive under the influence of alcohol. This is because the authorities are keen on foreigners who break such laws. On a lighter note, some tourists who have visited Germany stated that the country gladly sells you their best beer, then will turn around and arrest you for it in the same spirit. German traffic authorities are some of the keenest in the world in terms of monitoring motorists, cyclists and pedestrians. In the country’s big cities, such as Berlin and Munich, traffic build-up usually starts early in the morning. It is, therefore, important that you have a plan in place on how to navigate through the cities since traffic snarl-ups are expected to start as early as 7 a.m. More traffic issues are likely on special occasions such as school vacations. The traffic laws also consider cyclists by granting them equal rights to those of other motorists. Most towns provide cycle paths for the cyclists where they have similar rights to those of motorists on the main roads. Motorists are expected to stop and allow pedestrians to cross roads in exits or narrow side streets. Besides, cars and other forms of vehicles you can come across in Germany are streetcars or trams. By law, other motorists should not overtake trams whenever they stop until all passengers have alighted and cleared the street. All passengers in a car, including children, must have the seat belts on. For children, special seat belts are required. Anyone visiting Germany is required to learn all the highway codes and signs because every motorist in the country is conversant with them due to extensive tests in driving schools.